Travelling China by train? Should I go for the soft sleeper on the Chinese sleeper train or a hard seat? Should I take the fast train? Because of how big China is, train travel is an almost necessity if you want to get out of one city and into the next. There is an abundance of different types of trains, but mainly they divide into the fast train, the sleeper train and the slow train. Chinese trains are not the easiest to navigate, but follow our few key steps and you may find yourself enjoying those long hours on your Chinese sleeper train! What does a Chinese sleeper train look like? Depending on which compartment you’re in – soft sleeper, hard sleeper, or in the seating/standing area, the cabins will look very different. The beds in both hard and soft sleeper are the same. They are a tad small and narrow but perfectly fine. Free clean linen and bed sheets are provided for each bed! Generally people are incredibly polite and considerate on the train. Lights usually go off around 10pm and after this passengers are silent and go to sleep, usually (although you may have the odd person talking loudly on their phone…)! Make sure to respect your environment and remember that others are trying to sleep around you too! If you want to have a few drinks head to the restaurant cart – but be aware this closes early-ish and unless you’re still buying drinks and not being too loud, they will kick you out. Throughout the whole train at the entrance to every cabin there will be a hot water tap (safe to drink), a toilet (usually Chinese style), and a hand washing area. This is the “most luxurious” of tickets you can buy on a long distance slow sleeper train. You will be in a cabin with 4 beds, a private door, some luggage space, a water canister and a window. You will also have a plug socket in your room. Depending on how busy the train is and if it is sold out or not, you may have the room to yourself, or you may be sharing with three others. The soft sleeper carriage is usually located just next to the restaurant carriage. With a hard sleeper ticket you will be in an area with 6 beds. You will either be top, middle, or bottom bunk. In one carriage there are around 5/6 bed sections, meaning in one carriage there will be around 30+ people. There are usually only two plug sockets (if any) per carriage. If you have the bottom bunk, you’ll be sharing with everyone else from your area for the majority of the journey. It’s fine – just chill with the locals and be friendly! Real quick before you read on. Check out these unbelievable facts about China’s rail network. Depending on how long you’re staying on the train, you may not want to be in this area. It’s perfectly fine for a few hours, but overnight I would definitely recommend getting yourself a bed! It is an area similar to many other trains. You will be in a seated section with 6 seats – 3 either side and a small table in the middle. Those with standing tickets will just simply be… standing! Why should I take a Chinese sleeper train? A lot of fun can be had on the Chinese Sleeper Trains! 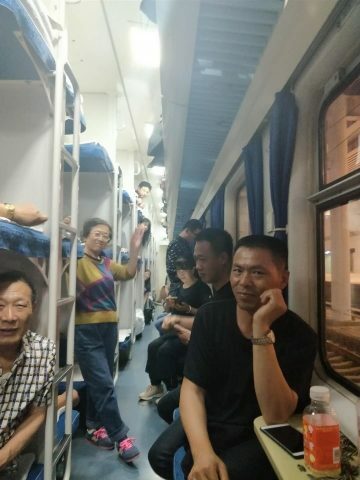 Apart from the obvious option that Chinese sleeper trains are a lot cheaper than flying (for the most part), they’re also a great way to see the country as you cruise slowly through vast expanses of land you would otherwise never have seen. Pass through many cities, some populated and some abandoned, whilst chilling with your Chinese neighbours – maybe enjoying a game of cards or a sip of Baijiu. 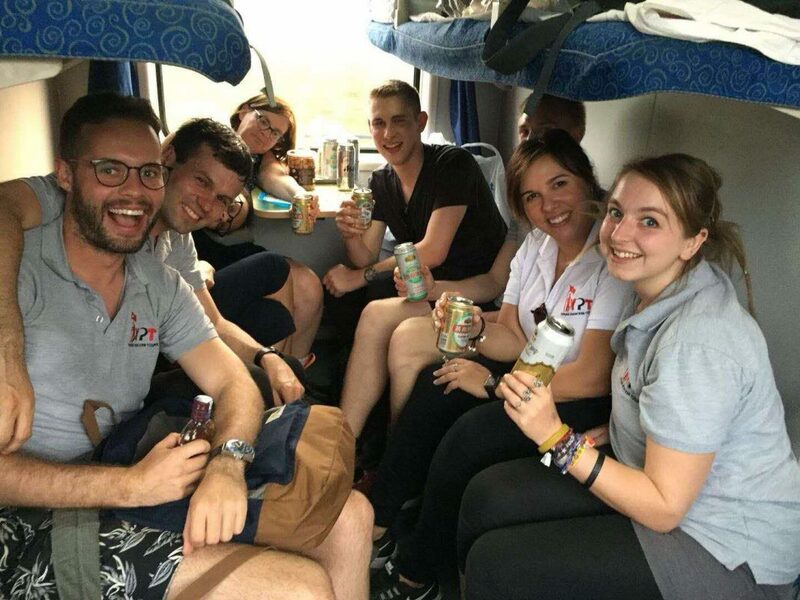 They’re fun, safe, and something different to do – and a great way to travel around China! 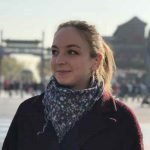 How can I prepare for a Chinese sleeper train? After you have been on a sleeper train more than 3 or 4 times, you will start to get your own routine going on how you cope with the many hours, how you keep busy, and what you bring with you. Cash – they may not accept WeChat pay! … and of course your Chinese Language study books! I find it best to prepare a lot of things to keep you busy, also. This depends on what you are interested in. One of my favourite Chinese Apps is IQIYI. This is a similar APP to Netflix, but, in my opinion, better. It allows you to download different books, films, and dramas at high speeds and choose your quality. It is a life-saver for passing those long hours on the Chinese sleeper train! You may also want to bring a book, or also a Chinese phrase book! The chances are that you will be the only foreigner in your cabin – or even on the train. You will be stared at, and many Chinese people will want to talk to you. Use this opportunity to practice your Chinese! If you are hungry or just need a change of scenery, you can head to the restaurant cart for a “not-too-bad train dinner” and some beers. Chinese trains are not the easiest to organize. The ticket booking system is difficult, and sometimes train times are not clear and it is not clear what is and isn’t available. Basically, just like many things in China, it may add a bit of mafan* to your daily life – unless your Chinese is super good. You first need to decide on your date and time of the train. Then decide your type of ticket. Hard sleeper, soft sleeper, hard seat, or *standing. Depending on the distance, you’ll probably want at least a hard sleeper. There are two main ways to book your train ticket for your Chinese train. There is also other options, including using Chinese booking systems that don’t charge as much as Trip.com. However, you may need the aid of a Chinese friend to help you with the somewhat complicated booking system. This is the most simple and easy option. With a great website and a very user friendly, English app, you can’t go wrong with Trip.com when booking train tickets. You can even book flights and hotels on here. You can also use WeChat or Alipay to pay for your tickets! The only downside to Trip.com is that you will pay for this extra convenience. In my opinion, it’s worth it. If you trust your Chinese skills enough then head to the train station to book your ticket. You will need your passport and money. Make sure to buy your train ticket early in advance, especially before major Chinese holidays. The rest works in a similar way to using Trip.com. If there are no tickets left and you find yourself on an 18hr journey with a standing ticket (yes, this happened to me) – do not fear! There is a way out (and trust me, you will want it!) But you are going to have to be very Chinese about it. The slow train is divided into two areas by the restaurant carriage. One side is hard seat and standing, the other side are the sleeper cabins. If you don’t have a sleeper ticket, you won’t be allowed into the other side. So, how do you get there? You will have to get an onboard ticket upgrade. Head to the front of the seating area to the conductors office where there will most likely be many Chinese people crowded around. 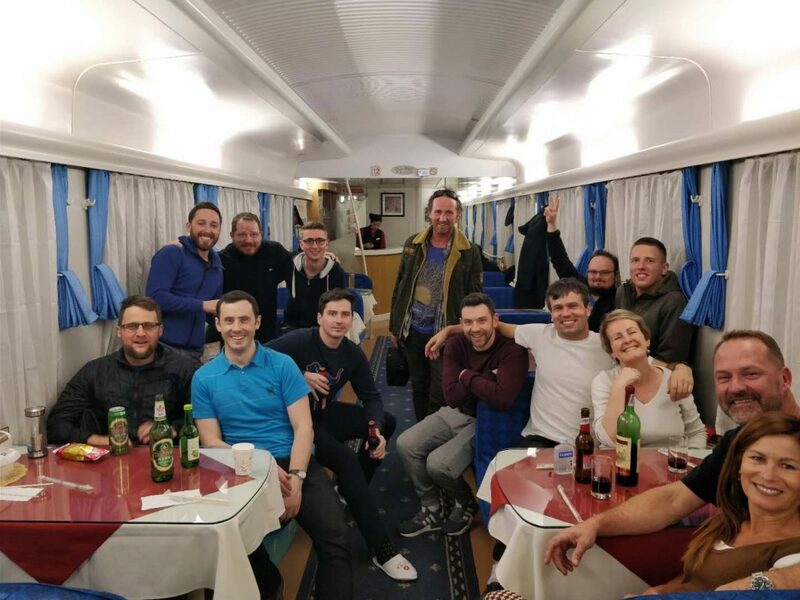 Write your name onto a waiting list and every time the train stops, head to the conductors cabin again and wait to see if there is space in the sleeper cabins. You may have to repeat this several times over a few hours until your name is called… But believe me, it’s worth it. You’ll then buy a ticket upgrade and bam! You’re free.